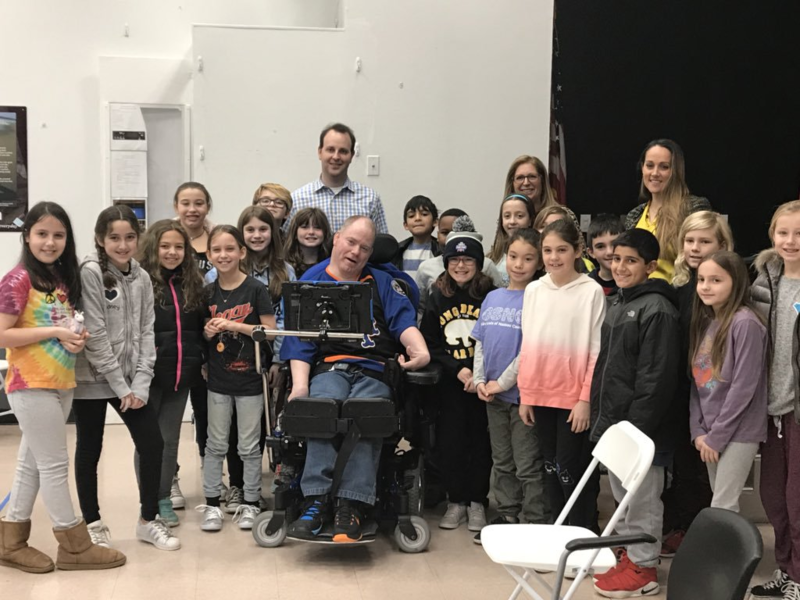 Members of the Long Beach LARC program raised almost $800 for the Cerebral Palsy Association of Nassau County through their participation in the CP Nassau Trivia Challenge Fundraiser. The Long Beach group came in third place in the competition’s final round. LARC’s experience with CP Nassau included a visit to CP Nassau. The students met with the organization’s members and were engaged with in-depth conversations about their lives. One individual used a computer device to communicate with the students. The students were motivated to help raise money for the organization to provide more resources such as the computer device for others with cerebral palsy. LiLin Garfinkel, Shane Haglich, Jordan Haltrecht, and Julia DiGiorgio represented Long Beach LARC at the trivia challenge as the highest scoring LARC team. 1: LARC’s experience with CP Nassau included a visit to CP Nassau. 2: Shane Haglich, Julia DiGiorgio, Jordan Haltrecht, and LiLin Garfinkel represented Long Beach LARC at the trivia challenge as the highest scoring LARC team.